Stickers come separately to the chocolates for you to attach yourself. 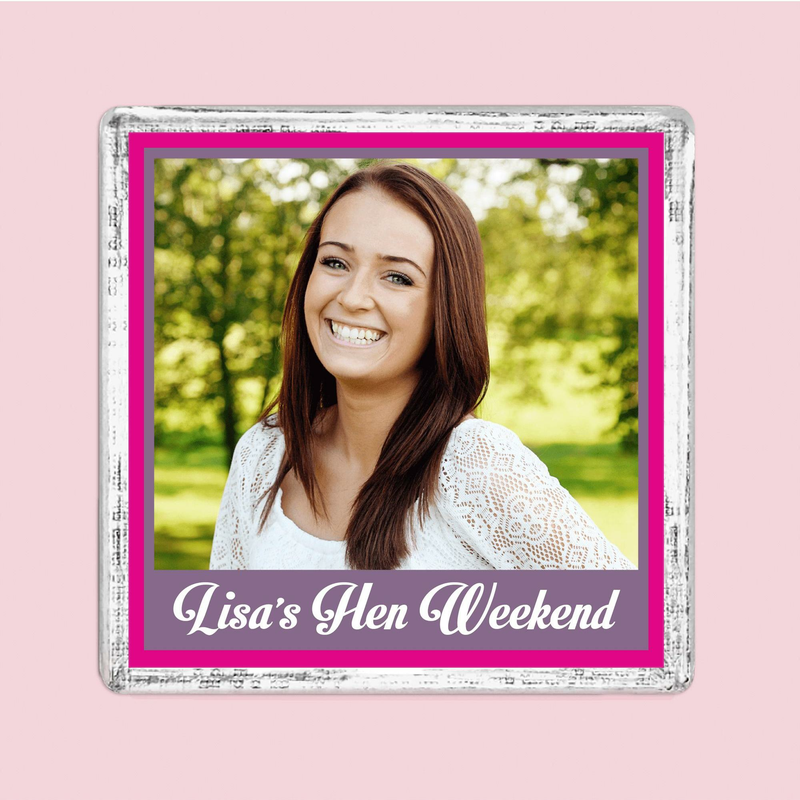 These Hen Party Personalised Chocolate Favours with your photo are the perfect way to say thank you to your hen party guests. Give each of your friends these cute chocolates at your next hen party! They may come in handy the morning after! This pack contains ten 5g bars of quality milk chocolate wrapped in foil with your photo and personalised message on the pink patterned paper cover. Why not slip these into some cute party favour bags for your guests? Hen Party Superstore offers a huge variety of hen party goodies for you and your friends on your special night. Plus, we offer free delivery if you spend over £40!